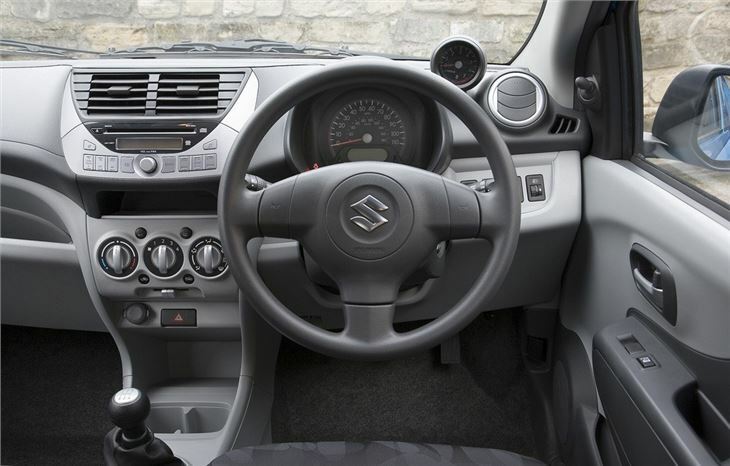 Cute little small hatch clone offering low emissions, low tax, good fuel economy and a proper 4-speed automatic option. Decent to drive. Thrummy 3-cylinder engine. Not as sophisticated as a Hyundai i10. 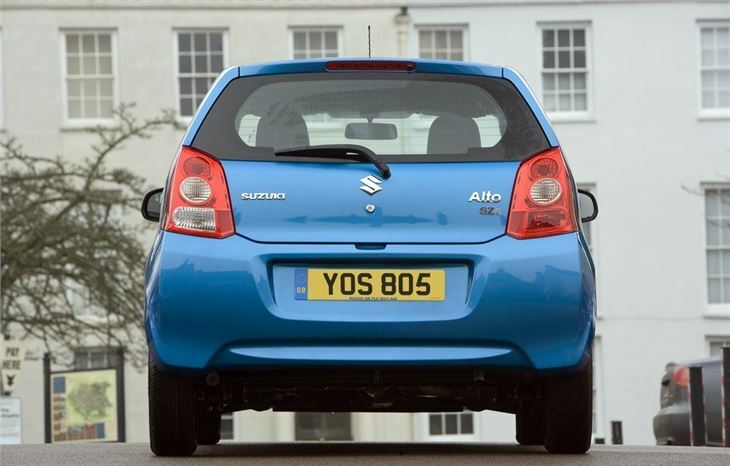 Complaint of exhaust resonance on three different Suzuki Altos corresponding with a lack of power in wet weather. May have something to do with the failing engine/transmission mountings. Visiting the Paris Motor Show in October 2008, I was surprised to see what looked like a facelifted Citroen C1 on the Nissan stand. Time for some re-education. 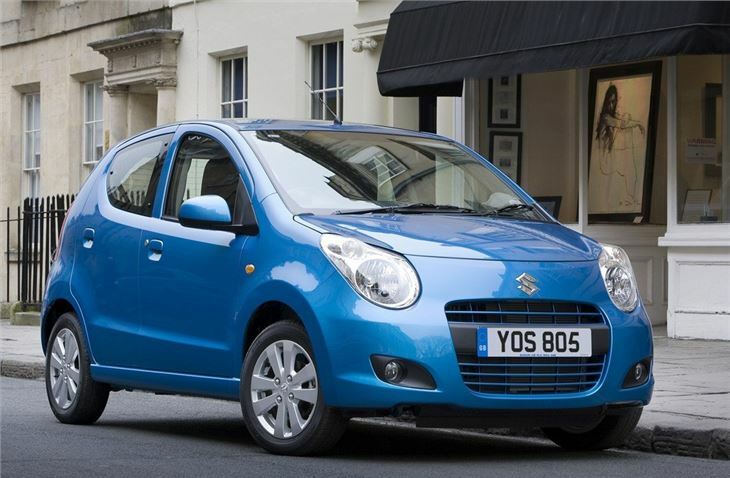 It turned out that what I was looking at was the Nissan Pixo version of the new Suzuki Alto, a car I was first alerted to by the boss of Hyundai as a serious competitor to his excellent i10. So I went to have a look at the new Alto on the Suzuki stand. 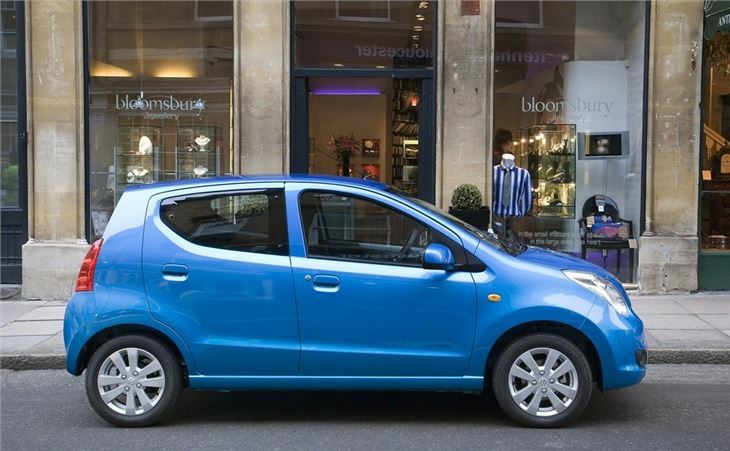 Compared to the Nissan Pixo it's definitely the better looking of these almost identical twins. 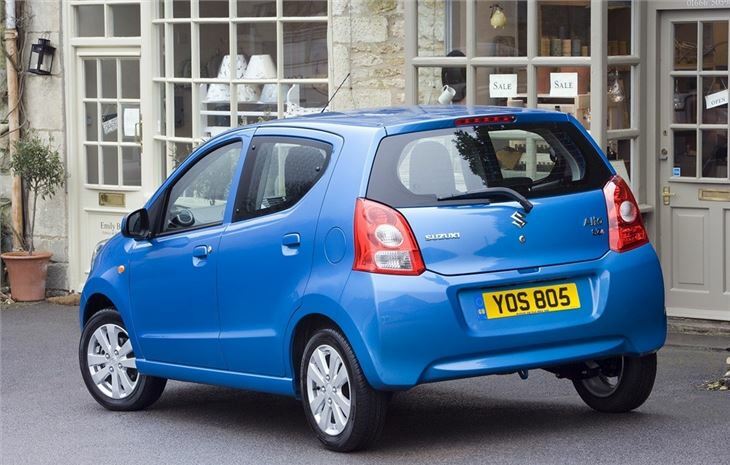 And it differs from the C1, 107 and Aygo by having a two-piece hatchback instead of one made entirely of glass. 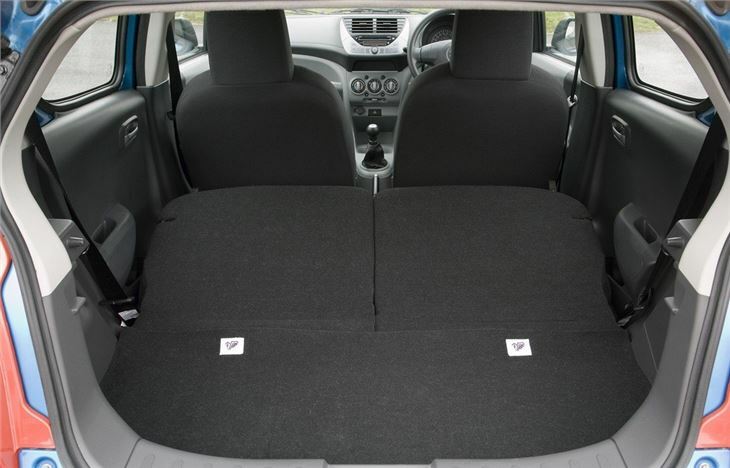 However it does share weight and cost-saving features of the Citroen C1 clones, like pop-open rather than wind-down rear door windows, rear seats that fold back onto the squabs instead of folding flat, no a/c in the SZ2 base model and only two rear seatbelts, making the air-conditioned, 5 year warranted, similarly priced Hyundai i10 1.2 Classic seem luxurious in comparison. At least, emitting just 103g/km, your company can buy you a manual Alto and offset 100% against a single year's tax. And when cars under 110g/km finally come down to £20pa VED, private drivers will make a useful saving there. 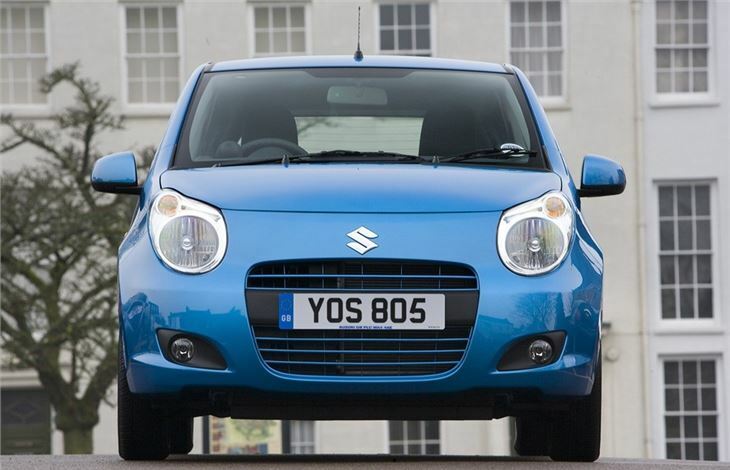 The Suzuki Alto SZ2 and SZ3 are also Group 1 insurance, like the Citroen C1 clones, and that can mean quite a big reduction on insurance for your drivers.